Reports about the Super Nationals from Tomah, which is one of the biggest Pulls in the world. 3 Days of pulling on two tracks side by side. All the American pulling competitors bring their machines to battle for the purse of 120.000,-- US-dollar. Over 40 different tractors are pulling in one class, also at night under the lights, where you see the flames and chroom. 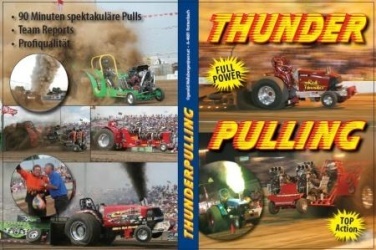 It is one of a kind show put together on Thunder Pulling 1. On 90 minutes you will also get great Footage from Regional National Pulling with OnBoard camera, different camera focus and Drivers interviews.